It’s true that basketball is almost like an art. Tune in to an NBA game with graceful passing and lights-out shooting and you might forget you’re watching a sport at all. Around March, Cinderella stories in the NCAA tournament remind us all how to root for the underdog. 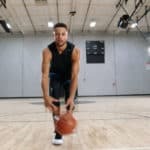 These scripts aren’t written by someone in a Hollywood exec office and they don’t need to be because the game of basketball is entertainment in its purest form. Is there anything Will Ferrell can’t do? If you think owning, coaching, and playing for his own ABA team, you’d be wrong. Luckily, the Flint Tropics are in good hands. The movie centers around the idea of the team being on the bubble of making it through a merger with the NBA. To help save the franchise, Will (playing Jackie Moon) enlists the help of former Celtic (Woody Harrelson). This isn’t the last time you’ll see Woody on the list by the way. Meanwhile, you can’t fault the idea of going for a Celtic to keep your team alive. After all, Boston is one of the most storied franchises in the league. 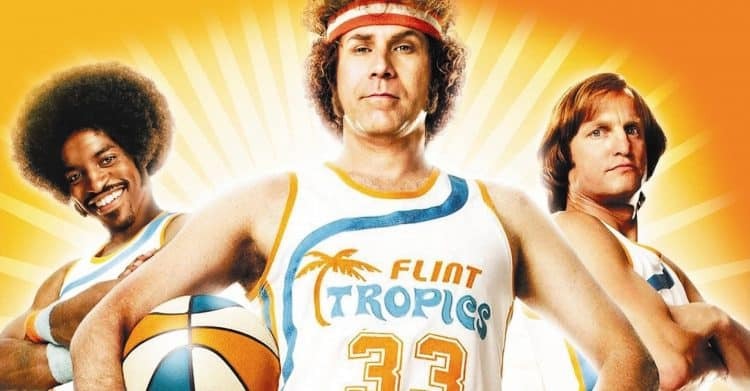 Fame alone isn’t enough to get the Flint Tropics through the merger though. We also see the world’s first alley-oop from Andre 3000 and Will Ferrell facing off with a literal bear to fill the seats. This throwback to the 70s is one not to miss if you haven’t already seen it. You guys knew this was going to be on here right? You can’t just put Michael Jordan on screen with beloved Looney Toons characters and not expect it to make an all-time great list. We’ll soon have a Space Jam 2 that will undoubtedly be used as a chip in the LeBron vs. MJ GOAT debate but the first one is always better. Just saying. So, even though we know MJ can dominate any human player, Space Jam reminds us that his powers aren’t limited to Earth. When facing off against the powerful MonStars that hold his NBA friends’ skills hostage, he must win a game to bring them back. Along the way he gets a little help from Bill Murray and all of our favorites (Bugs, Daffy, Tweety and more). We already know how this ends. You do too. Don’t lie to yourself. 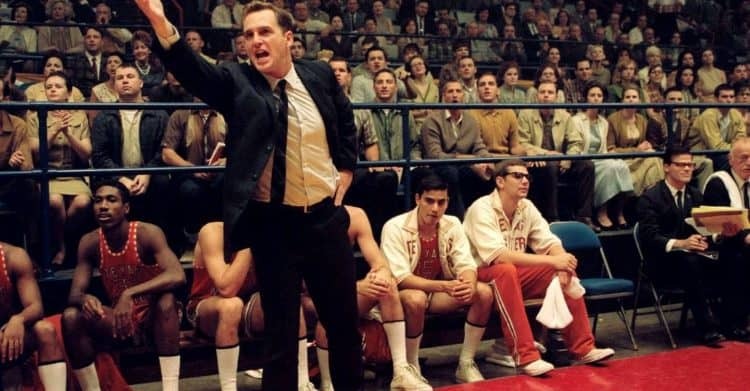 In a movie that is (sadly) still relevant today, Glory Road explores the struggle of racial discrimination on and off the court. Starting with footage of changes in 1960s Texas Western University and the hiring of Don Haskins as coach of the basketball program. Since he has no help recruiting players, he fills his team by adding seven black players to the squad. Though the team goes through a near perfect season on the stat sheet, they deal with countless hurdles along the way. Resistance to integration, primarily when Haskins starts five black players in the national championship game, is present throughout. Fortunately, this movie sends a positive message about inclusion and the power of sports to bring people together. Glory Road is certainly worth a watch and will make you think about the great positive impact that diversity has had on the game. Speaking of bringing people together... When watchers hear the line “all’s fair in love and basketball” they might be rolling their eyes. Luckily, this is the only cliché line in the movie. Guys, if your significant other wants you to watch a romantic movie together, suggest Love and Basketball. Trust us, it is much better than struggling through The Notebook. Instead, this unique flick brings flirtation onto the court as Monica and Quincy challenge each other to a series of one-on-one games that mean so much more. Despite the romance, they both have goals of their own when it comes to basketball and life. The movie brings the game of hoops and the game of hearts together perfectly in a way that you don’t often see. It isn’t cheesy and doesn’t focus on the big, buzzer-beater moments like some other films on this list. Instead, it reminds us to focus on the lessons we can take from the game off the court. And sure, you can’t help but root for Quincy and Monica’s love story along the way. Oh my do we love Samuel L. Jackson or do we LOVE Samuel L. Jackson? 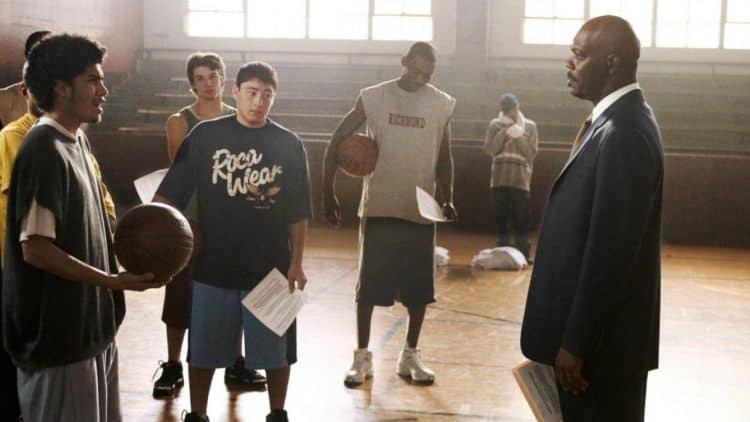 Long before he became Nick Fury, SLJ played a more everyday character: Coach Carter. The movie bearing his name has often been summed up as Remember the Titans but with basketball. Based on real-life high school coach Ken Carter, this inspirational movie explores the importance of team culture. After notoriously benching his entire 1999 team until their grades improved, Carter became one of the better known coaches in America. Since he later was portrayed by SLJ himself, you can expect a fiery performance. Along with the caustic temperament and focus on integrity this movie brings, you’ll fall in love with characters that make it impossible not to root for them. Everyone who learned to dunk at an earlier age than everyone else surely got an earful from the coach after missing one in a game. At a high school level, it is sometimes seen as too flashy a move. Now, we all know there’s nothing better than a good dunk. 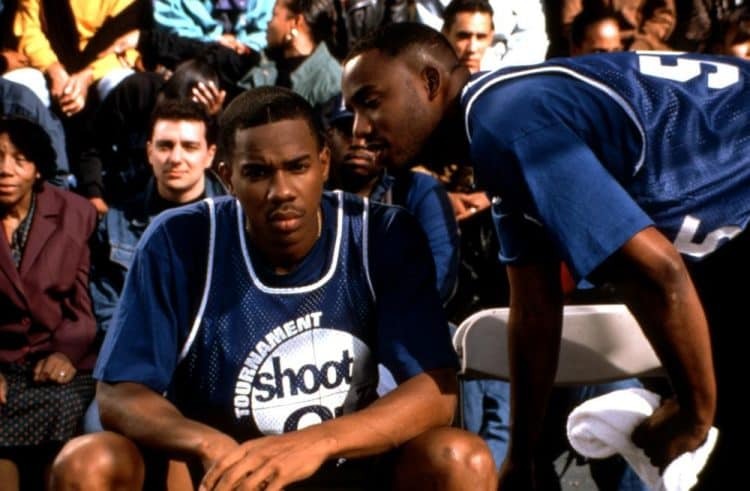 If you find yourself watching highlight reels of the best dunks, you’ll be an instant fan of Above the Rim. Bringing together raw talent and street ball culture, this movie tells the story of Kyle, a highly anticipated recruit. When he gets in with a drug dealer (we should mention this character is played by Tupac) and his family life falls apart, life suddenly isn’t all about basketball. Still, it may be his last chance to make things right and escape a life on the streets. You’ll be on the edge of your seat during the playground tournament finale that decides it all. It’s a Spike Lee Joint, folks. You know it’s going to be a doozy. We also know that top high school basketball prospects are under a lot of stress before committing to a college. 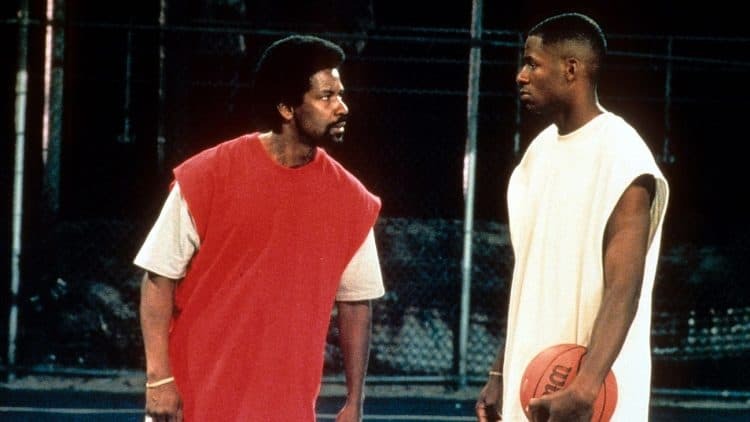 He Got Game manages to jam all the temptations and problems into the final week before signing day. If it can go wrong, it does for Coney Island hoops sensation Jesus Shuttlesworth. Let’s not forget that he is played by Ray Allen. No, Space Jam isn’t the only old movie starring an NBA legend. Unfortunately, the relevance of this film parallels real life problems like corrupted recruiting and economics of the NCAA. We also see glimpses of what looks like LaVar Ball in Jesus’ father throughout the movie. It’s an introspective watch that is certainly worth the time in today’s day and age. 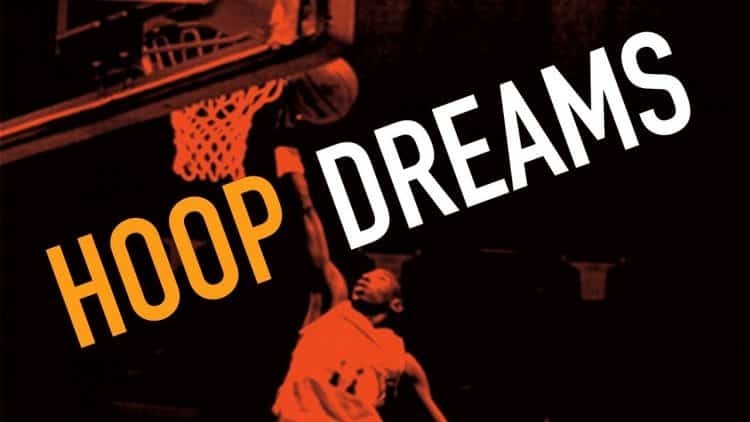 Hoop Dreams took home a Sundance Film Festival award for Best Documentary when it was released. Following two African-American players from inner city Chicago (William Gates and Arthur Agee) the documentary tells the story of their journey from middle school to college. 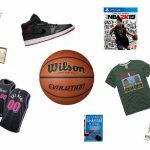 After a scout for St. Joseph’s High School (alma mater of NBA star Isiah Thomas) finds the boys dominating playground games, they’re given a life-changing opportunity. We follow them through long commutes and difficult days as they strive to reach goals of playing basketball professionally. However, Hoop Dreams is about more than basketball. It gives a glimpse into the life of kids raised in the “ghetto” and the whole family effort it takes to give them chance. 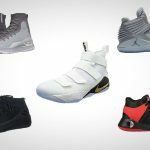 This story is akin to present superstar Giannis Antetokounmpo and his rise from poverty to fame. Though it’s our only documentary on the list, this one has all the entertainment of any movie. It is certainly worth watching; for many different reasons. Indiana as a state loves their basketball. They might not be known for much else. But step into the arena at a Pacers game or a college game at University of Indiana and you’ll instantly feel that something about the atmosphere is different. There’s something powerful about the passion of the fans and the communities behind the teams. 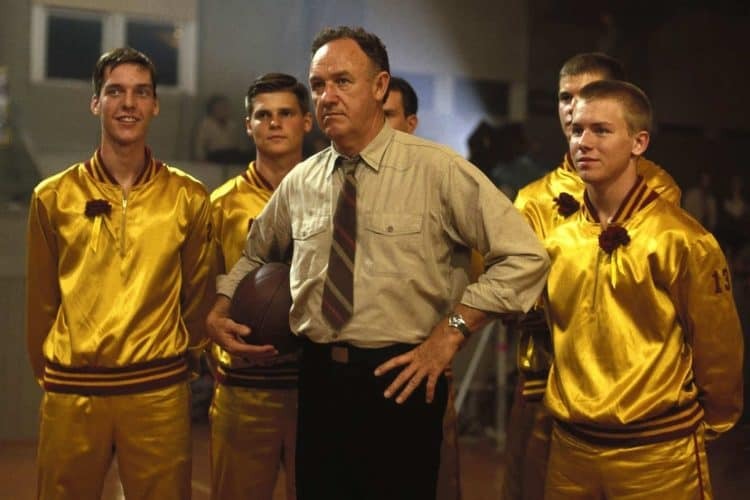 So, when coach Norman Dale shakes things up by focusing on fundamentals, people don’t take it. Meanwhile, the small town’s best player holds out on joining the team. Eventually he does and the team of seven pushes towards a championship. Some say this movie set the stage for 90 percent of the motivational speeches out there. Coach Dale encourages players to play hard, making them winners regardless of the score. Let’s not forget about the locker room power clap scene that has been played millions of times. Trust us, even if you haven’t seen whole movie you’ll recognize this scene. We promised Woody Harrelson would be back. This time he’s a busy hustler on Venice Beach making bank off of street ballers that assume he can’t play because he is white. So, teaming up with Wesley Snipes, the duo quickly start making money off of those who unknowingly challenge them. Though he actually stands below six feet, Harrelson puts on a show on the court. 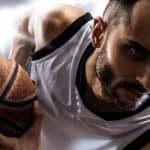 Combining basketball scenes with comedy in a seamless manner, audiences quickly forget they’re watching a pretend game at all. 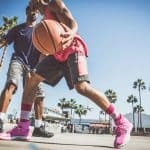 You’ll feel like you’re watching real street ball with monetary implications for those who stereotype white people as being bad at basketball. 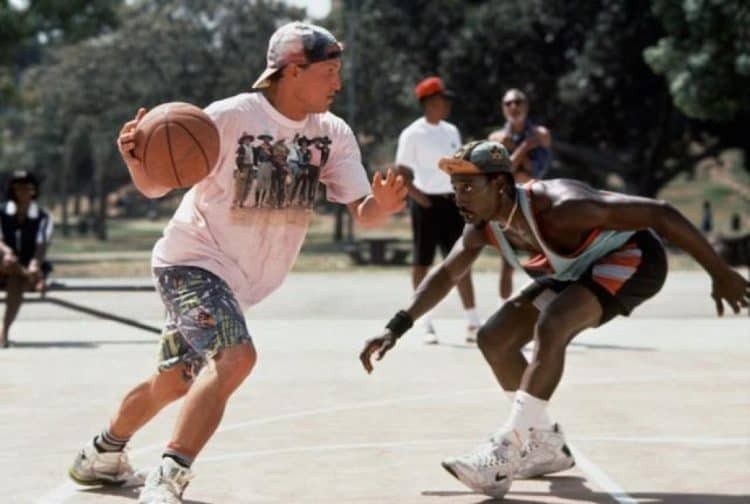 Complete with baggy t-shirts, old school insults, and bicycle caps on the asphalt, White Men Can’t Jump has it all. 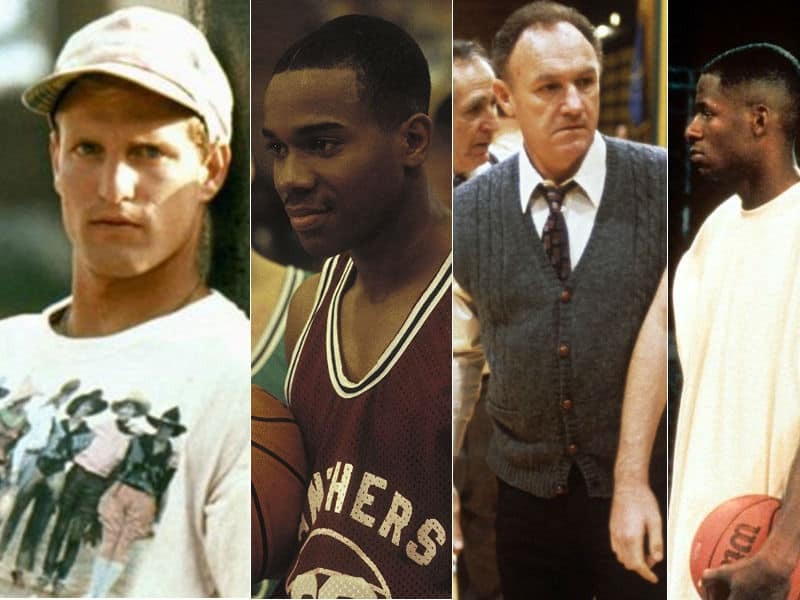 After watching these basketball movies with Woody Harrelson you’ll never be able to look at him the same in another movie. You’ll keep waiting for him to cross someone up or throw down a sick dunk instead of a one-liner.